It took the home side 17 minutes to move ahead, but they relied on a woeful error from Sy, who allowed Adrien Thomasson's header to squirm out of his arms and into the net despite it looking like a routine save. The visitors then lost Radamel Falcao to a muscular injury just before half-time. 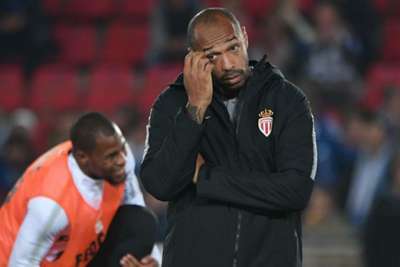 Youri Tielemans pulled one back from the spot in second-half stoppage-time after Moussa Sylla – Falcao's replacement – was tripped, but it only proved to be a consolation, leaving Monaco one place off the bottom after their second worst start to a Ligue 1 season after 10 matches.